The Minutemaids won their first county championship since 2012 on Sept. 16 as both doubles pairings advanced to the final of the doubles tournament and Laurel DiStefano finished in third place of the singles tournament. Entering this season, Washington Township High School girls tennis hadn’t won the Gloucester County Girls Tennis Tournament team title since 2012. For the players on the 2018 roster, it felt like an eternity. “That’s so long,” junior doubles player Kylee Jones said. The Minutemaids’ drought ended with a strong performance at the 2018 tournament during the week of Sept. 15. Washington Township won its first county title in six years as both of the Minutemaids’ doubles pairings advanced to the finals of the doubles tournament, and first singles player Laurel DiStefano finished in third place in the singles tournament. The highlight of the tournament for Washington Township was in doubles. Jones and her partner, senior Diana Chan, advanced to the finals to play their teammates, seniors Lexie Wells and Daisy Marrero, for the county championship. The two doubles teams had played each other frequently in the past. In the preseason, Jones and Chan earned the first doubles spot by edging out Wells and Marrero in challenge matches. However, all of the players admit there’s little difference in the level of play between the two pairings. Jones said she had joked at the start of the tournament about the possibility of an all-Washington Township final. “I didn’t think it was going to happen, even though I was joking about it,” Jones said. The match was very close, with each set coming down to the wire. Wells and Marrero managed to come out on top of the first set, 7–5. The second set ended up tied, 6–6 and went to a tiebreaker. In the tiebreakers, Wells and Marrero came out on top, 8–6, to win the title. Chan described the match has being very long and intense. “Each time, we kept going to deuces,” she said. Marrero said she wasn’t surprised the match was so close. On the singles side of the tournament, DiStefano made a run into the semifinals. 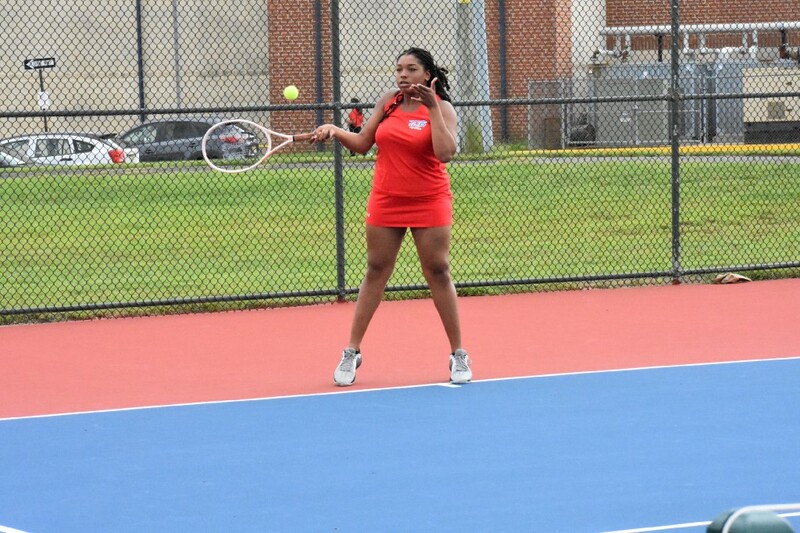 In that round, she faced off against defending county champion Rebecca Ballier of Glassboro High School, losing 6–3 6–2. DiStefano then played in the third place match and won in straight sets, beating Paisley Wishart of Gateway High School, 6–3 6–4. Playing against each opponent’s top player at first singles, DiStefano has improved her game by looking at the tactics her opponents use against her and trying to use them herself. 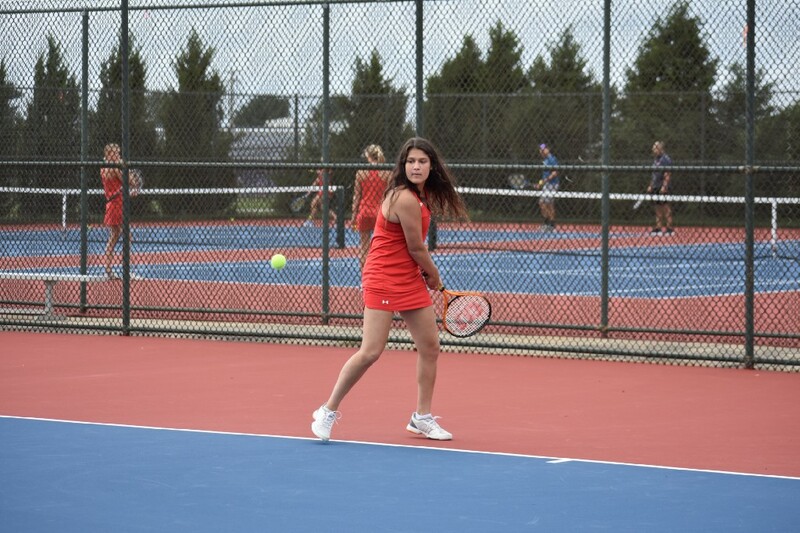 DiStafano cited an early season match against one of South Jersey’s top players, Pallavi Goculdas of Cherry Hill High School East, as an example. Washington Township has picked itself up over the last couple of weeks after losing two of its first three matches. Prior to winning the Gloucester County tournaments, the Minutemaids grinded out a pair of close wins over Bishop Eustace Prep and Lenape High School. The players believe winning the county tournament will give the team confidence heading into the season’s second half .